When you think of birds, you probably think of the small, charming birds chirping in your backyard. The ostrich, though, is bigger than your dad! 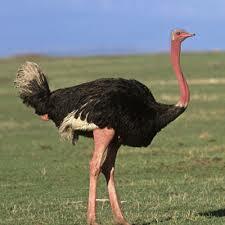 Ostriches are the largest birds. They can grow 9 feet tall and weigh over 350 pounds. The ostrich is bigger than your dad! Ostriches are the largest birds. They can grow 9 feet tall and weigh over 350 pounds. 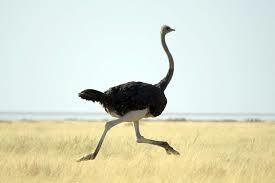 Ostriches live in the African savannah. They can’t fly, but they’re fast runners. They can run up to 43 miles per hour for short periods. Most of the time, they run at around 30 miles per hour. Ostriches eat seeds, plants and grain. They also munch on insects and small animals. They can run up to 43 miles per hour for short periods. 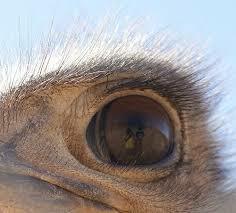 An ostrich has the largest eye of any land mammal. Their eyes are 2 inches across. Ostriches have very small brains. Ostriches don’t really bury their heads in the sand. They do lie on the ground and stretch their necks out to hide when trouble appears. 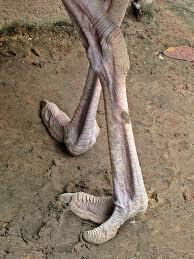 Ostriches have powerful legs and clawed toes. One strong kick can kill a lion. Ostriches live in small flocks. One male and female ostrich leads the flock. 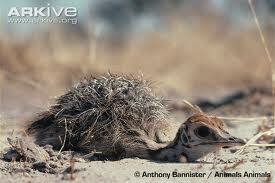 More all about ostriches, their eggs weigh 3 to 5 pounds. That’s about as much as 12 chicken eggs. The other females lay their eggs in the lead female’s nest. She and the lead male sit on the eggs. Ostriches are sometimes raised for their meat. A video documentary explaining facts about the ostrich. Ostriches have powerful legs and clawed toes. 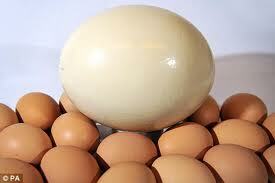 Question: How many eggs do ostriches lay? Answer: Ostriches can lay one every other day until they have a clutch of 6 to 8 eggs. The eggs each weigh 3 to 5 pounds. That’s about as much as 12 chicken eggs. Answer: In the 1800s, people used ostrich feathers in clothing design. Ostriches were hunted so much that they almost became extinct. Today, ostriches are raised on farms. Wild ostrich flocks are growing. Enjoyed the Easy Science for Kids Website all about Ostriches info? Take the FREE & fun all about Ostriches quiz and download FREE Ostriches worksheet for kids. For lengthy info click here. Declan, Tobin. " Fun Ostrich Facts for Kids ." Easy Science for Kids, Apr 2019. Web. 21 Apr 2019. < https://easyscienceforkids.com/all-about-ostriches/ >.